Not to be confused with Genus. For other uses, see Genius (disambiguation). A genius is a person who displays exceptional intellectual ability, creative productivity, universality in genres or originality, typically to a degree that is associated with the achievement of new advances in a domain of knowledge. Despite the presence of scholars in many subjects throughout history, many geniuses have shown high achievements in only a single kind of activity. There is no scientifically precise definition of a genius, and the question of whether the notion itself has any real meaning has long been a subject of debate, although psychologists are converging on a definition that emphasizes creativity and eminent achievement. Usually, genius is associated with talent, but many authors (for example Cesare Lombroso) systematically distinguish these terms. In ancient Rome, the genius (plural in Latin genii) was the guiding spirit or tutelary deity of a person, family (gens), or place (genius loci). The noun is related to the Latin verb genui, genitus, "to bring into being, create, produce". Because the achievements of exceptional individuals seemed to indicate the presence of a particularly powerful genius, by the time of Augustus, the word began to acquire its secondary meaning of "inspiration, talent". The term genius acquired its modern sense in the eighteenth century, and is a conflation of two Latin terms: genius, as above, and Ingenium, a related noun referring to our innate dispositions, talents, and inborn nature. Beginning to blend the concepts of the divine and the talented, the Encyclopédie article on genius (génie) describes such a person as "he whose soul is more expansive and struck by the feelings of all others; interested by all that is in nature never to receive an idea unless it evokes a feeling; everything excites him and on which nothing is lost." The assessment of intelligence was initiated by Francis Galton (1822–1911) and James McKeen Cattell. They had advocated the analysis of reaction time and sensory acuity as measures of "neurophysiological efficiency" and the analysis of sensory acuity as a measure of intelligence. Galton is regarded as the founder of psychometry. He studied the work of his older half-cousin Charles Darwin about biological evolution. Hypothesizing that eminence is inherited from ancestors, Galton did a study of families of eminent people in Britain, publishing it in 1869 as Hereditary Genius. Galton's ideas were elaborated from the work of two early 19th-century pioneers in statistics: Carl Friedrich Gauss and Adolphe Quetelet. Gauss discovered the normal distribution (bell-shaped curve): given a large number of measurements of the same variable under the same conditions, they vary at random from a most frequent value, the "average", to two least frequent values at maximum differences greater and lower than the most frequent value. Quetelet discovered that the bell-shaped curve applied to social statistics gathered by the French government in the course of its normal processes on large numbers of people passing through the courts and the military. His initial work in criminology led him to observe "the greater the number of individuals observed the more do peculiarities become effaced...". This ideal from which the peculiarities were effaced became "the average man". Galton was inspired by Quetelet to define the average man as "an entire normal scheme"; that is, if one combines the normal curves of every measurable human characteristic, one will, in theory, perceive a syndrome straddled by "the average man" and flanked by persons that are different. In contrast to Quetelet, Galton's average man was not statistical but was theoretical only. There was no measure of general averageness, only a large number of very specific averages. Setting out to discover a general measure of the average, Galton looked at educational statistics and found bell-curves in test results of all sorts; initially in mathematics grades for the final honors examination and in entrance examination scores for Sandhurst. Galton's method in Hereditary Genius was to count and assess the eminent relatives of eminent men. He found that the number of eminent relatives was greater with a closer degree of kinship. This work is considered the first example of historiometry, an analytical study of historical human progress. The work is controversial and has been criticized for several reasons. Galton then departed from Gauss in a way that became crucial to the history of the 20th century AD. The bell-shaped curve was not random, he concluded. The differences between the average and the upper end were due to a non-random factor, "natural ability", which he defined as "those qualities of intellect and disposition, which urge and qualify men to perform acts that lead to reputation…a nature which, when left to itself, will, urged by an inherent stimulus, climb the path that leads to eminence." The apparent randomness of the scores was due to the randomness of this natural ability in the population as a whole, in theory. Criticisms include that Galton's study fails to account for the impact of social status and the associated availability of resources in the form of economic inheritance, meaning that inherited "eminence" or "genius" can be gained through the enriched environment provided by wealthy families. Galton went on to develop the field of eugenics. Genius is expressed in a variety of forms (e.g., mathematical, literary, musical performance). Persons with genius tend to have strong intuitions about their domains, and they build on these insights with tremendous energy. Carl Rogers, a founder of the Humanistic Approach to Psychology, expands on the idea of a genius trusting his or her intuition in a given field, writing: "El Greco, for example, must have realized as he looked at some of his early work, that 'good artists do not paint like that.' But somehow he trusted his own experiencing of life, the process of himself, sufficiently that he could go on expressing his own unique perceptions. It was as though he could say, 'Good artists don't paint like this, but I paint like this.' Or to move to another field, Ernest Hemingway was surely aware that 'good writers do not write like this.' But fortunately he moved toward being Hemingway, being himself, rather than toward someone else's conception of a good writer." A number of people commonly regarded as geniuses have been or were diagnosed with mental disorders, for example Vincent van Gogh, Virginia Woolf, John Forbes Nash Jr., and Ernest Hemingway. It has been suggested that there exists a connection between mental illness, in particular schizophrenia and bipolar disorder, and genius. Individuals with bipolar disorder and schizotypal personality disorder, the latter of which being more common amongst relatives of schizophrenics, tend to show elevated creativity. Galton was a pioneer in investigating both eminent human achievement and mental testing. In his book Hereditary Genius, written before the development of IQ testing, he proposed that hereditary influences on eminent achievement are strong, and that eminence is rare in the general population. Lewis Terman chose "'near' genius or genius" as the classification label for the highest classification on his 1916 version of the Stanford-Binet test. By 1926, Terman began publishing about a longitudinal study of California schoolchildren who were referred for IQ testing by their schoolteachers, called Genetic Studies of Genius, which he conducted for the rest of his life. Catherine M. Cox, a colleague of Terman's, wrote a whole book, The Early Mental Traits of 300 Geniuses, published as volume 2 of The Genetic Studies of Genius book series, in which she analyzed biographical data about historic geniuses. Although her estimates of childhood IQ scores of historical figures who never took IQ tests have been criticized on methodological grounds, Cox's study was thorough in finding out what else matters besides IQ in becoming a genius. By the 1937 second revision of the Stanford-Binet test, Terman no longer used the term "genius" as an IQ classification, nor has any subsequent IQ test. In 1939, David Wechsler specifically commented that "we are rather hesitant about calling a person a genius on the basis of a single intelligence test score". The Terman longitudinal study in California eventually provided historical evidence regarding how genius is related to IQ scores. Many California pupils were recommended for the study by schoolteachers. Two pupils who were tested but rejected for inclusion in the study (because their IQ scores were too low) grew up to be Nobel Prize winners in physics, William Shockley, and Luis Walter Alvarez. Based on the historical findings of the Terman study and on biographical examples such as Richard Feynman, who had an IQ of 125 and went on to win the Nobel Prize in physics and become widely known as a genius, the current view of psychologists and other scholars of genius is that a minimum level of IQ (approximately 125) is necessary for genius but not sufficient, and must be combined with personality characteristics such as drive and persistence, plus the necessary opportunities for talent development. Some high IQ individuals join a High IQ society. The most famous is Mensa International but others exist including The International High IQ Society, the Prometheus Society, the Triple Nine Society, and Magnus. 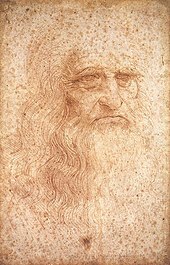 Leonardo da Vinci is widely acknowledged as having been a genius and a polymath. Various philosophers have proposed definitions of what genius is and what that implies in the context of their philosophical theories. In the philosophy of David Hume, the way society perceives genius is similar to the way society perceives the ignorant. Hume states that a person with the characteristics of a genius is looked at as a person disconnected from society, as well as a person who works remotely, at a distance, away from the rest of the world. On the other hand, the mere ignorant is still more despised; nor is any thing deemed a surer sign of an illiberal genius in an age and nation where the sciences flourish, than to be entirely destitute of all relish for those noble entertainments. The most perfect character is supposed to lie between those extremes; retaining an equal ability and taste for books, company, and business; preserving in conversation that discernment and delicacy which arise from polite letters; and in business, that probity and accuracy which are the natural result of a just philosophy. In the philosophy of Immanuel Kant, genius is the ability to independently arrive at and understand concepts that would normally have to be taught by another person. For Kant, originality was the essential character of genius. This genius is a talent for producing ideas which can be described as non-imitative. Kant's discussion of the characteristics of genius is largely contained within the Critique of Judgment and was well received by the Romantics of the early 19th century. In addition, much of Schopenhauer's theory of genius, particularly regarding talent and freedom from constraint, is directly derived from paragraphs of Part I of Kant's Critique of Judgment. Genius is a talent for producing something for which no determinate rule can be given, not a predisposition consisting of a skill for something that can be learned by following some rule or other. In the philosophy of Bertrand Russell, genius entails that an individual possesses unique qualities and talents that make the genius especially valuable to the society in which he or she operates, once given the chance to contribute to society. Russell's philosophy further maintains, however, that it is possible for such geniuses to be crushed in their youth and lost forever when the environment around them is unsympathetic to their potential maladaptive traits. Russell rejected the notion he believed was popular during his lifetime that, "genius will out". ^ a b Cox, Catherine M. (1926). The Early Mental Traits of 300 Geniuses. Genetic Studies of Genius Volume 2. Stanford (CA): Stanford University Press. ISBN 0-8047-0010-9. LCCN 25008797. OCLC 248811346. Lay summary (2 June 2013). ^ Robinson, Andrew. "Can We Define Genius?". Psychology Today. Sussex Publishers, LLC. Retrieved 25 May 2017. ^ Oxford Latin Dictionary (Oxford: Clarendon Press, 1982, 1985 reprinting), entries on genius, p. 759, and gigno, p. 764. ^ Shaw, Tamsin (2014). "Wonder Boys?". The New York Review of Books. 61 (15). Retrieved 5 October 2014. ^ Saint-Lambert, Jean-François de (ascribed). "Genius". The Encyclopedia of Diderot & d'Alembert Collaborative Translation Project. Translated by John S.D. Glaus Ann Arbor: Michigan Publishing, University of Michigan Library, 2007. Web. 1 Apr. 2015. <http://hdl.handle.net/2027/spo.did2222.0000.819>. Trans. of "Génie", Encyclopédie ou Dictionnaire raisonné des sciences, des arts et des métiers, vol. 7. Paris, 1757. ^ Fancher, Raymond E (1998). Kimble, Gregory A; Wertheimer, Michael (eds.). Alfred Binet, General Psychologist. Portraits of Pioneers in Psychology. III. Hillsdale, NJ: Lawrence Erlbaum Associates. pp. 67–84. ISBN 978-1-55798-479-1. ^ Galton, Francis (1869). Hereditary Genius. London: MacMillan. Retrieved 4 April 2014. Lay summary (4 April 2014). ^ Bernstein, Peter L. (1998). Against the gods. Wiley. p. 160. ISBN 0-471-12104-5. ^ Bernstein (1998), page 163. ^ Rogers, Carl (1995). On Becoming a Person. Houghton Mifflin. p. 175. ISBN 0-395-75531-X. ^ Thys 2014, p. 146. ^ Pintner 1931, pp. 356–357 "From a study of these boyhood records, estimates of the probable I.Q.s of these men in childhood have been made…. It is of course obvious that much error may creep into an experiment of this sort, and the I.Q. assigned to any one individual is merely a rough estimate, depending to some extent upon how much information about his boyhood years has come down to us." ^ Eysenck 1998, p. 126 "Cox found that the more was known about a person's youthful accomplishments, that is, what he had done before he was engaged in doing the things that made him known as a genius, the higher was his IQ…. So she proceeded to make a statistical correction in each case for lack of knowledge; this bumped up the figure considerably for the geniuses about whom little was in fact known…. I am rather doubtful about the justification for making the correction. To do so assumes that the geniuses about whom least is known were precocious but their previous activities were not recorded. This may be true, but it is also possible to argue that perhaps there was nothing much to record! I feel uneasy about making such assumptions; doing so may be very misleading." ^ Cox 1926, pp. 215–219, 218 (Chapter XIII: Conclusions) "3. That all equally intelligent children do not as adults achieve equal eminence is in part accounted for by our last conclusion: youths who achieve eminence are characterized not only by high intellectual traits, but also by persistence of motive and effort, confidence in their abilities, and great strength or force of character." (emphasis in original). ^ Park, Lubinski & Benbow 2010, "There were two young boys, Luis Alvarez and William Shockley, who were among the many who took Terman’s tests but missed the cutoff score. Despite their exclusion from a study of young 'geniuses,' both went on to study physics, earn PhDs, and win the Nobel prize." ^ Hume, David (2001). "An Enquiry Concerning Human Understanding. — "Of the different Species of Philosophy"". New York: Bartleby.com. Archived from the original on 2 September 2012. Retrieved 2 September 2012. ^ Howard Caygill, Kant Dictionary (ISBN 0-631-17535-0). ^ Kant, Immanuel (1790). Kritik der Urteilskraft [The Critique of Judgment]. §46–§49. E.g. §46: "Genius is a talent for producing something for which no determinate rule can be given, not a predisposition consisting of a skill for something that can be learned by following some rule or other." (trans. W.S. Pluhar). ^ Quoted in Allan, George (2012). "Learning to Reason". Modes of Learning: Whitehead's Metaphysics and the Stages of Education. Albany, NY: State University of New York Press. p. 98. ISBN 978-1-4384-4187-0. Cox, Catherine M. (1926). The Early Mental Traits of 300 Geniuses. Genetic Studies of Genius Volume 2. Stanford (CA): Stanford University Press. ISBN 0-8047-0010-9. LCCN 25008797. OCLC 248811346. Lay summary (2 June 2013). Gleick, James (2011). Genius: The Life and Science of Richard Feynman (ebook ed.). Open Road Media. ISBN 9781453210437. Pickover, Clifford A. (1998). Strange Brains and Genius: The Secret Lives of Eccentric Scientists and Madmen. Plenum Publishing Corporation. ISBN 978-0688168940. Lay summary (15 July 2013). Shurkin, Joel (1992). Terman's Kids: The Groundbreaking Study of How the Gifted Grow Up. Boston (MA): Little, Brown. ISBN 978-0316788908. Lay summary (28 June 2010). Shurkin, Joel (2006). Broken Genius: The Rise and Fall of William Shockley, Creator of the Electronic Age. London: Macmillan. ISBN 978-1-4039-8815-7. Lay summary (2 June 2013). Thys, Erik. "Creativity and Psychopathology: A Systematic Review" (PDF). Psychopathology. 47: 141–147. doi:10.1159/000357822. Wechsler, David (1939). The Measurement of Adult Intelligence (first ed.). Baltimore (MD): Williams & Witkins. ISBN 978-1-59147-606-1. Lay summary (5 June 2013). Sources listed in chronological order of publication within each category. Galton, Francis (1869). Hereditary Genius. London: MacMillan. Retrieved 4 April 2014. Lay summary (4 April 2014). Burks, Barbara S.; Jensen, Dortha W.; Terman, Lewis M. (1930). The Promise of Youth: Follow-up Studies of a Thousand Gifted Children. Genetic Studies of Genius Volume 3. Stanford (CA): Stanford University Press. Terman, Lewis M.; Oden, Melita (1959). The Gifted Group at Mid-Life: Thirty-Five Years' Follow-Up of the Superior Child. Genetic Studies of Genius Volume V. Stanford (CA): Stanford University Press. Retrieved 2 June 2013. Harold Bloom (November 2002). Genius: A Mosaic of One Hundred Exemplary Creative Minds. Warner Books. ISBN 0-446-52717-3. Simonton, Dean Keith (2004). Creativity in Science: Chance, Logic, Genius, and Zeitgeist. Cambridge: Cambridge University Press. ISBN 0-521-54369-X. David Galenson (27 December 2005). Old Masters and Young Geniuses: The Two Life Cycles of Artistic Creativity. Princeton University Press. ISBN 0-691-12109-5. Simonton, Dean Keith (2009). Genius 101. New York: Springer. ISBN 978-0-8261-0627-8. Lay summary (28 July 2010). McMahon, Darrin M. (2013). Divine Fury: A History of Genius. New York, NY: Basic Books. ISBN 978-0-465-00325-9. Weiner, Eric (2016). The Geography of Genius: Lessons from the World's Most Creative Places. Simon & Schuster. ISBN 978-1451691672. Feldman, David (1984). "A Follow-up of Subjects Scoring above 180 IQ in Terman's Genetic Studies of Genius". Exceptional Children. 50 (6): 518–523. doi:10.1177/001440298405000604. Retrieved 8 July 2010. Put into the context of the psychometric movement as a whole, it is clear that the positive extreme of the IQ distribution is not as different from other IQ levels as might have been expected. Feldman, David Henry (2009). "Genius". In Kerr, Barbara (ed.). Encyclopedia of Giftedness, Creativity, and Talent. 2. Thousand Oaks (CA): SAGE. ISBN 978-141294971-2. Wikimedia Commons has media related to Genius. Wilson, Tracy V. (1998–2009). "How Geniuses Work". HowStuffWorks.com. Retrieved 7 July 2009. Gupta, Sanjay (2006). "Brainteaser: Scientists Dissect Mystery of Genius". CNN.com. Retrieved 7 July 2009.